A criminal charge in the Ocean County municipality of Mantoloking is a very serious matter. No matter what the offense, a criminal charge can carry repercussions such as heavy fines, a permanent criminal record, and even imprisonment. If you have been charged with a criminal offense, you need an attorney to aggressively defend you and help you throughout the legal process. At Marshall & Bonus, our lawyers have over 100 years of combined experience in the criminal law field. 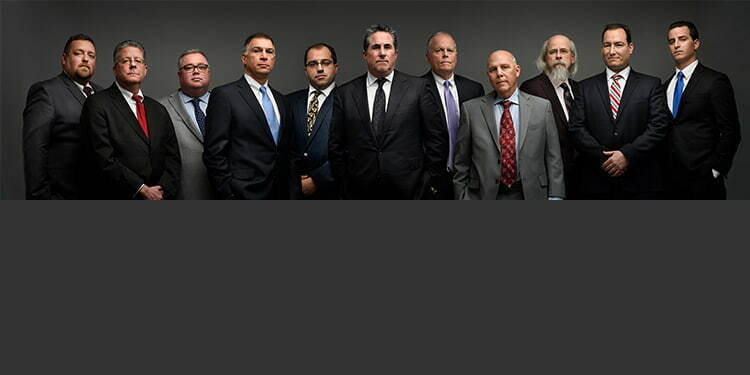 Our team is comprised of skilled criminal defense attorneys and two former prosecutors. In fact, attorney Matthew Dorry has many years of experience serving as municipal prosecutor in Ocean County. If you have been charged with an offense in Mantoloking Municipal Court or anywhere else in Ocean County, please do not hesitate to contact our office for a free initial consultation. Our attorneys can be reached 24/7 at (732) 286-6500. The Borough of Mantoloking is a beautiful beach town located at the highest point of the Barnegat peninsula in Ocean County. The area is .7 square miles and only has about 600 permanent residents. This is because most people visit and tour the area during the summertime months as renters. The main roadway in this town is Route 35, but the town is within close proximity to the Garden State Parkway as well. Many enjoy visiting the area because it is one of the wealthiest communities in the state of New Jersey. In fact, Richard Nixon and Katharine Hepburn were known to have owned property in this area. Even though the town is well-off, the area is not adverse to having some crime. And on the occasion that one is charged with a crime in Mantoloking, the offense will be heard at the Mantoloking Municipal Court. If you have been arrested in Mantoloking, Marshall & Bonus is a good option for your legal defense. Our attorneys have a solid reputation and are diligent legal representatives with a strong track record. We have received positive outcomes in many criminal and motor vehicle offense cases, including driving while intoxicated ("DWI") in the Mantoloking Municipal Court and are ready to work for you to achieve the same. Please do not hesitate to set up a free initial consultation with our lawyers at (732) 286-6500. With an attorney on our staff at on your side, you can rest assured that your case is being handled effectively and professionally.